Having different types of wall and storage stands is ultimate need of every home. for example, shoe storage rack or stand is of greater importance to store and place shoes of all family members together. Such shoe storage stands can be hanged with walls and stand on floors as well. Here you can see a very beautiful and stylish shoe storage stand looking very convenient in storing shoes. 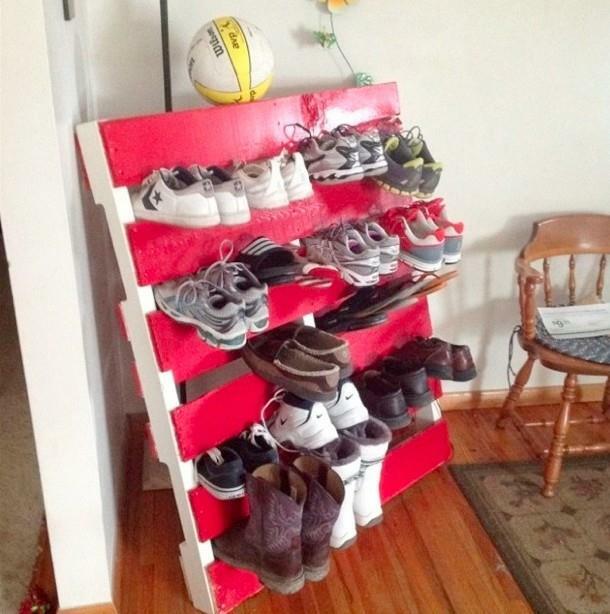 You can easily construct such shoe storage stand using pallets wood pieces. In given picture of shoe storage stand made of pallets wood, it is painted with beautiful red color so you are flexible more to apply any vibrant color to pallets made shoe storage stand. You can also emerge it according to color scheme of your entire furniture. 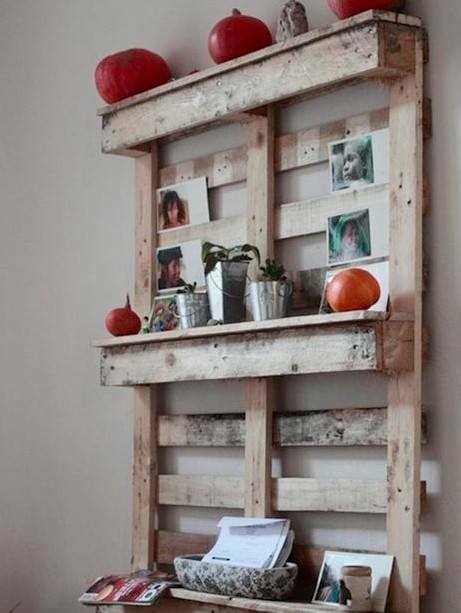 Working with pallets wood is quite convenient and pallets wood is also available easily in small and large pieces.